Just before the tornado, the sky went from sunny to dark. From Jack Wallington, in Lincoln's Inn Fields. 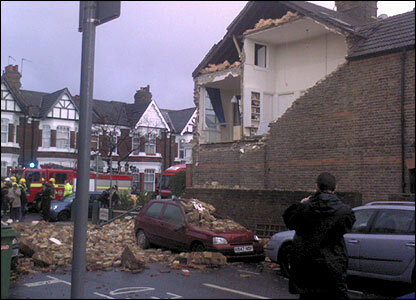 Rooftops were ripped off and cars were badly damaged as a tornado hit north London. 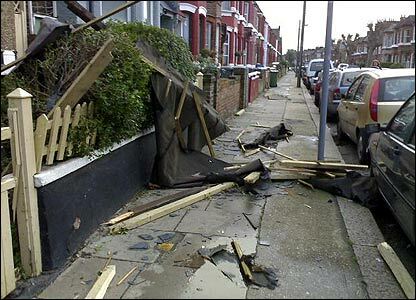 Paul Da Silva sent in this image of the tornado's impact. 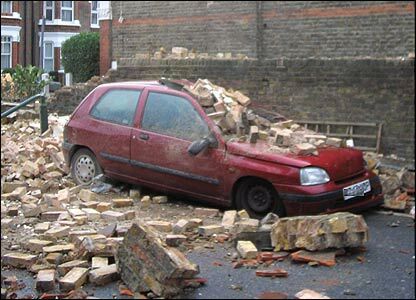 Helen White sent us this image of storm damage. 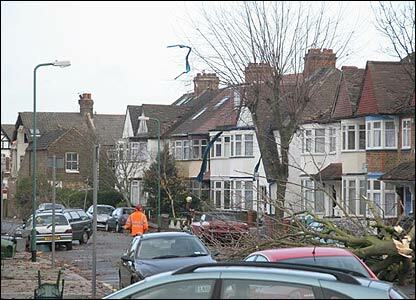 The tornado uprooted trees and threw them across the streets. Benedick J Clarke took this at 1.30pm, Thursday afternoon. And what the tornado missed, falling wreckage hit. Photo sent in by Julian Vaccari. 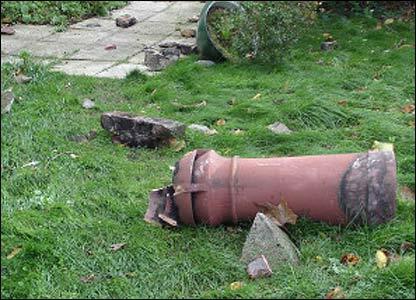 Jamie Newall, NW6: "We lost a lot of slates and our chimney stack just stopped short of going through the roof! No injuries, but several thousands pounds of repairs." 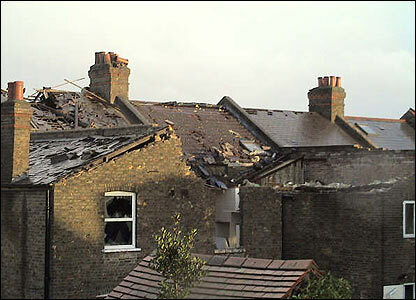 Jeremy Travis: "I live in Kensal Rise and was at home when the tornado struck. It was an astonishing event." 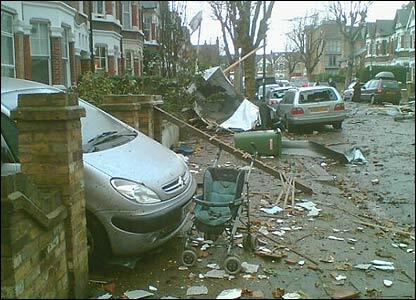 An empty pushchair amid the wreckage in West London. Photo sent in by Ian Carter. 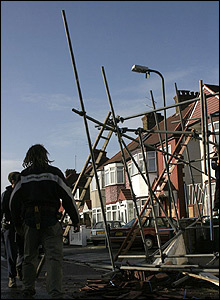 Workers dismantle scaffolding blown over in the freak tornado that struck Kensal Rise today. Photo by Paul Davey. 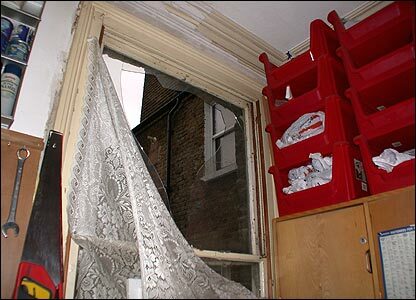 Bilmal Patel, Kensal Rise resident: "Our house seemed to miss most of the damage, but our garden is ruined. 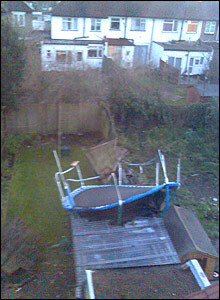 And we have a trampoline on top of our small shed!" 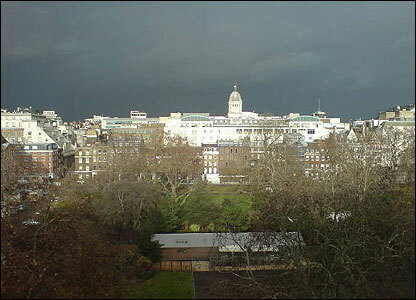 How could a tornado hit London?